Chances are you already know several reliable RMA solutions for Magento 2 (for instance, by Amasty, Mirasvit, aheadWorks, or Boost my Shop), but there are several more tools to be mentioned on the pages of the Firebear blog. 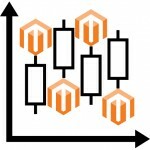 Therefore, we’ve prepared our review of the RMA Magento 2 module by Exto.io. 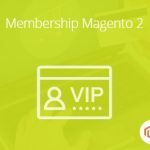 Check the following post to find out what are core benefits of this Magento 2 extension. 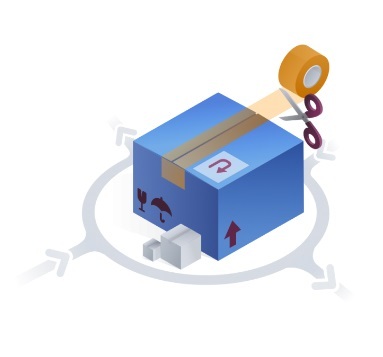 All RMA modules are developed to help you streamline product returns. Usually, they provide custom return processing steps, allow partial refunds, and support returns from guest users. As for Exto.io RMA for Magento 2, it’s no exception. The extension provides all these features through a user-friendly interface, where you or your admins can work wonders. 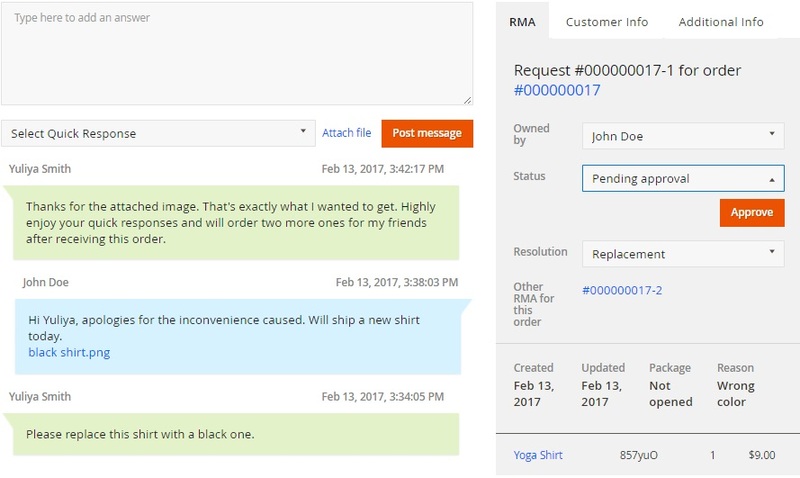 In order to avoid mistakes that often occurs, the Exto.io RMA Magento 2 extension provides the ability to leave internal messages visible to managers and agents. 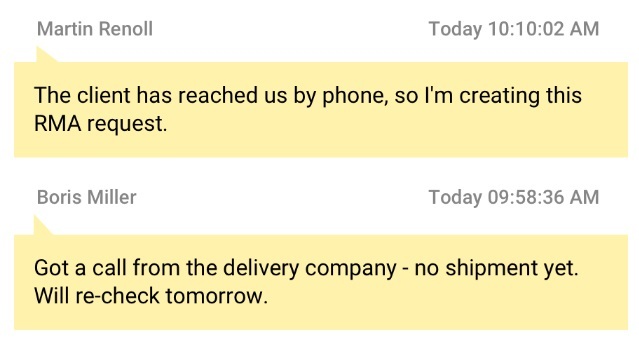 Note that it is the internal communications channel, so nobody on the frontend will see these messages. At the same time, you can inform customers about each return step via email. 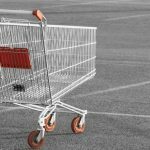 Note that this essentially improves chances your clients will return to your Magento 2 store after the refund is made. As for the aforementioned custom steps, the Exto.io RMA Magento 2 module allows you fine tune the default product return algorithm by creating additional steps. As a result, it is possible to get more information about the return and make more revisions. To improve the process even more, the extension provides the ability to send automated email notifications to both admins and customers. Also note that it is possible to set time frames of the request’s creation or update dates. And since everything is pre-configured out-of-the-box, you can start supporting product returns right after the extension installation. In order to prove our point, let’s dive deep into the backend of the Exto.io RMA Magento 2 module. We’d like to start the exploration form the RMA Requests grid. It is a place where all your RMS requests are gathered. 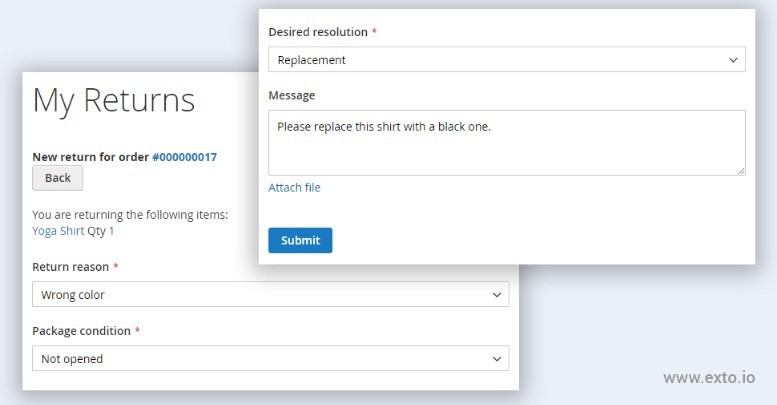 The grid provides such information as request number, customer name and email, products for the return, reason (broken, wrong size, wrong color, wrong brand), resolution (refund or replacement), status (closed, pending approval, approved, etc), time of creation, etc. Besides, you can add a new request here manually. It is divided into two core sections: a dialog window that allows to attach files and select quick responses and a section with various data which in its turn is divided into 3 tabs (RMA; Customer Info; Additional Info). As for other backend elements available with the Exto.io RMA Magento 2 extension, there is the Workflow and Statuses grid. Here, you can manage old statuses as well as add new ones. 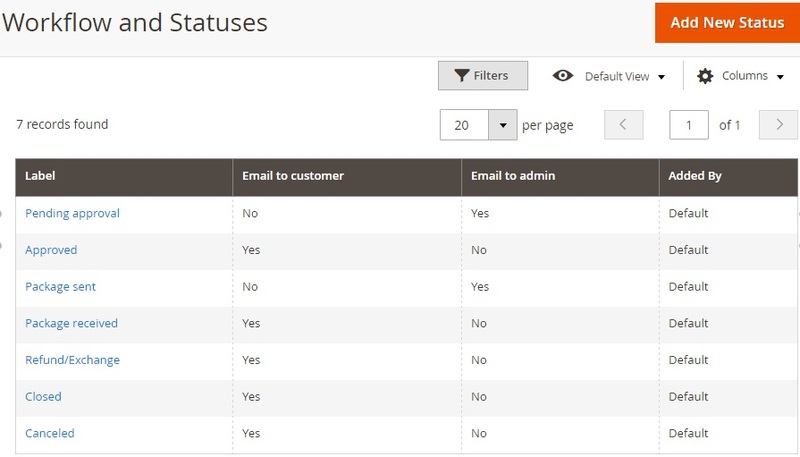 The grid contains 4 columns: Label, Email to customer, Email to admin, and Added By. It is possible to add more statuses as well as enable/disable notifications for the existing ones. Next, there is the Manage Custom Field Grid. This is where you can change the default RMA procedure by adding new fields to it. 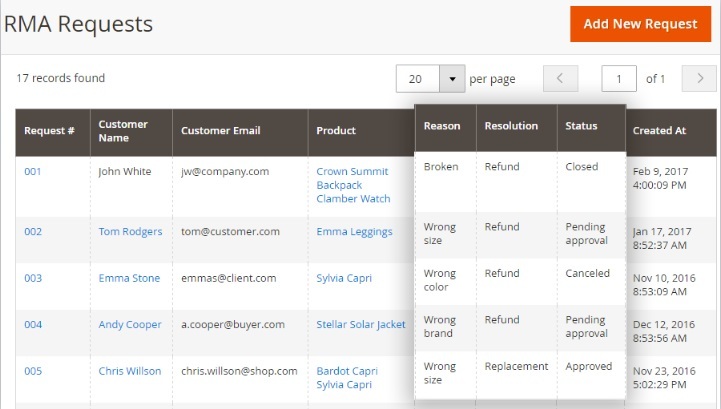 The grid shows field name, type, visibility for customers, and whether it is mandatory or not. Add new custom fields or edit the existing ones here. 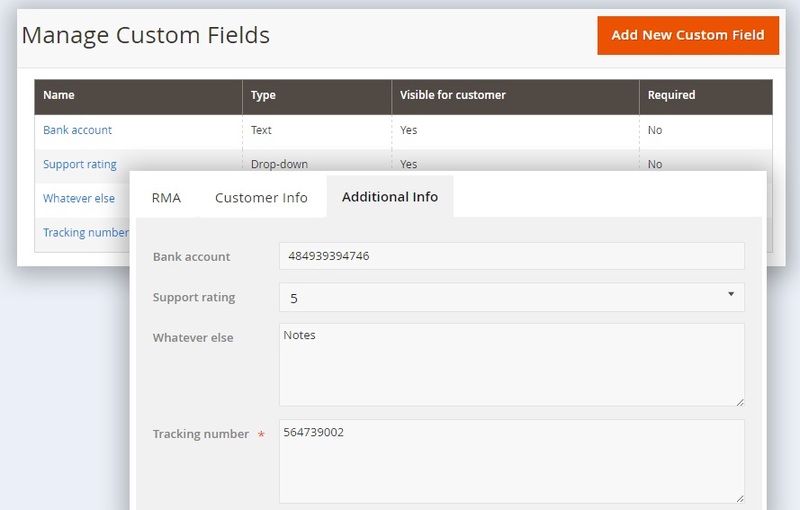 Besides, the Exto.io RMA Magento 2 module allows to set up a range of custom fields for further request handling in the Manage Options grid. Reasons of return request, resolutions, package conditions, and others can be managed here. These were core backend elements of Exto.io RMA for Magento 2. As you can see, the extension’s interface is very straightforward and admin-friendly, but what about its frontend appearance? The Exto.io Magento 2 RMA module also changes the frontend appearance of the default customer account. 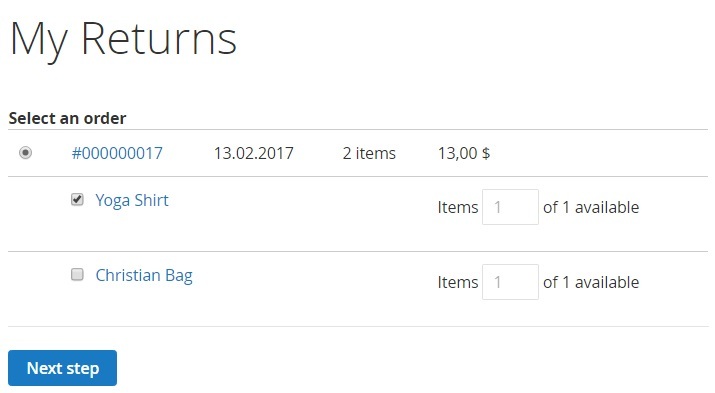 The extension adds a new tab called My Returns. Here, your buyers can track and manage all their returns. Besides, new requests can be created. 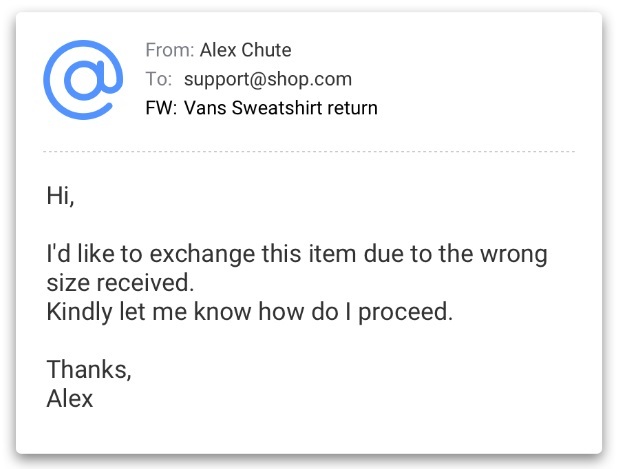 To create a return, it is necessary to select an order and items that should be returned. Due to the AJAX usage, this process happens without reloads. 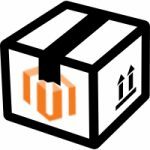 Next, the Exto.io RMA Magento 2 extension requires the following data to be specified: Return reason, Package condition, and Desired resolution. A message with an attached file can be added optionally. That is all: the frontend interface of the Exto.io RMA for Magento 2 is as intuitive as the backend section.